Shortly before he surrendered to the gory excesses of horror, Lucio Fulci – the notorious director ofZombieand Perversion Story – crafted one last brilliant thriller with a killer twist. Jennifer O’Neill(Scanners) stars as a clairvoyant tormented by visions of a violent murder. But will her own investigation into the crime lead to the most shocking discovery of all? Marc Porel (Don’t Torture A Duckling) and Evelyn Stewart(The Whip And The Body) co-star in this chilling giallo that critics and fans – including avowed devoteeQuentin Tarantino – consider the most stunning of the maestro’s entire career. 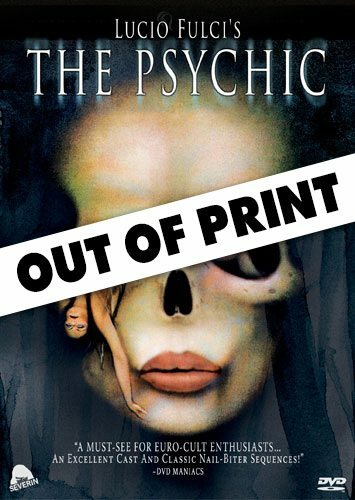 Released in the U.S. with several key scenes removed, The Psychic (aka Seven Notes In Black) is now presented in its fully restored European Version featuring footage never before seen in America.